I’m a fixer by nature. Give me a problem and I’ll solve it. And I honestly love helping people, so it’s not like I want the credit, or a big thank you. I just love to help, love fixing. When life hands you lemons…made lemonade. We’ve all heard the expression. Even more, if your temper resembles mine, you’ve been tempted on more than one occasion to tell people what to do with those lemons exactly. Or where to put them. Are You Celebrated or Merely Tolerated? A number of years ago, I was volunteering in a youth ministry and it didn’t feel right. There were small issues all the time, nothing big, but enough to cause frustration. It made me doubt myself, my skills, my calling. All of a sudden it hit me. There’s a big, a huge difference between being tolerated and being celebrated. And that’s exactly what was happening in that church, in that volunteer position. I was tolerated, for whatever reason, but I was never celebrated. Ever since, I’ve looked at my position in churches and ministries differently. Now, I’m not big on following your feelings. I know we live in a culture where following your heart has became the mantra and where ‘do what feels right’ is about the highest priority. The Bible shows us a different way, however, a higher way. Doing the right thing doesn’t always feel good. On the contrary, fleeing from sin for instance may not feel good at all and neither will persevering in the midst of pressure and oppression. Christianity is not and will never be a feel-good-faith. So the first part of that quote is debatable, as far as I’m concerned. That being said, I do believe in serving where you are meant to be, where God is calling you. That can be a place where you are celebrated. I’m a volunteer with Youth for Christ right now and I love it. I work with both middle schoolers and high schoolers and the pastor who is in charge of the after school clubs we run had happily delegated all of the teaching to me. He celebrates my passion and gift for teaching and there’s such freedom and empowerment in that. But sometimes our calling is to be merely tolerated, because that’s exactly where God wants us to be. I’ve been that trailblazer before, especially as a woman. I was the first woman on staff in my church in The Netherlands, the first woman to speak regularly in Sunday morning services, the first woman who was allowed to do weddings. I was only tolerated at first, and sometimes not even that. There have been times where I wanted to quit because I was so tired of the struggle to be treated equally. Yet I was exactly where God wanted me to be. He used me to open doors and make a way for others. I started being tolerated, but I left being celebrated. Every time I’m back in The Netherlands, that church invites me to speak and I’ve done a number of weddings and special services sinceI left! p.s. No matter where you are in life or in your ministry, if you are a woman in youth ministry, the Women in Youth Ministry Campference is the place to be for you. Check out more info here and register soon, ’cause it’s only a few weeks away! One thing I’ve become more and more aware of over the years is just how hard it is to be you. Somehow I imagined that growing older meant that is was easier to find myself and be myself. And it has become easier, especially in comparison to my teenage years. But it’s still not easy. There’s so much pressure to be someone else, something else. And as women, we are constantly under pressure. Under pressure to be an organized, always-available soccer mom who bakes perfect cupcakes and volunteers at every school activity. Under pressure to be the domestic goddess whose house is always in pristine condition, with a perfectly maintained garden, and who cooks a fresh healthy meal every single day. Under pressure to be the perfect youth leader who has an active presence on every social network known to man, who always has time for students and who is beloved by everyone in the church. Under pressure to be in a constant close relationship with my Father, reading my Bible daily, in continuous communication with Him, filling my soul and mind with ‘higher things’. As women, we juggle many different roles, each with their own expectations and pressure. We’re moms, spouses, homemakers, youth leaders, volunteers, neighbors, friends, sisters…I’ve gotten better at this, but I still struggle. But one thing I do know and it’s something I could not say twenty years ago: I don’t want to be anyone other than me. I may not always succeed, but I try. p.s. It’s a little over one week till the Women in Youth Ministry Campference and it’s not too late to signup! Let’s hang out there and swap stories! Every leader will face a season where his or her influence seems to be fading. Sometimes this can be due to age, sometimes to irrelevance or sometimes due to a copious amount of mistakes that are made. In other moments and seasons, a diminishing influence in leadership may occur when a younger and perhaps even more gifted leader comes into the picture. The biblical narrative is chalked full of a number of different stories of leadership transitions, both positive and negative. For the purpose of this short article I simply want to focus on two such stories highlighted by Dave Brotherton in his live interview with Mark Buchanan conducted online through Canadian Youth Worker here. Saul was the first king of the nation of Israel. The story of Saul and David begins with David defeating an enemy, Goliath, who was terrorising the Israelites. David, a teenager at the time, fought Goliath in battle. No one from Saul’s court or mighty army was willing to lead out in battle against this supposed giant. In this moment, David not only seized a level of authority and fame, but also elevated his leadership voice substantially. As this story progresses, Saul becomes increasingly threatened by the ability, talent and popularity of David. At one point, Saul tries to end David’s life by hurtling a spear at his head…side note, if someone physically threatens you as a leader, I would say this classifies as a failed leadership transition…just saying. Saul maintained the title of authority, but David’s leadership ability and anointing from God elevated him to a place that surpassed Saul. Every leader will face their own David and/or Saul moment. As a youth pastor, there are leaders and teens in my ministry who are going to do even greater things that what I’ve been able to accomplish in my leadership thus far (and in the future). I have a decision to make when the stories of these brazen, young & incredibly gifted leaders collide with my own leadership story. Will I hurl a spear at their heads hoping to wound or kill their ability, or will I have the confidence to step outside of myself, lend whatever leadership reputation I may have built to these younger leaders for the sake of the Kingdom? Eli was the high priest of Israel at the time when a young boy named Samuel came to live with him. One evening, the Lord began to speak to Samuel (which was a privilege typically reserved for the priesthood in Israel…of which Samuel was not yet a part of). Samuel, not knowing what was happening runs to Eli several times seeking to respond to what he thinks is Eli calling out to him. At some point, Eli clues in that Samuel is hearing the voice of God, and instead of letting his jealousy overwhelm him…he coaches Samuel to embrace the Lord’s invitation. Eli knew he was being passed over, and he could have held on to what “he built” for the sake of his family and his reputation, but instead he allowed wisdom to shape his decision to celebrate Samuel instead of destroy him. When your leadership feels threatened will you throw a tantrum like Saul, or embrace wisdom like Eli and support, coach, empower and cheer on those who will do more amazing things that we can possibly imagine? Are there people in your current sphere of influence as a leader that you need to begin to view differently in light of these two stories? What is God saying to you, and what are you doing about it? 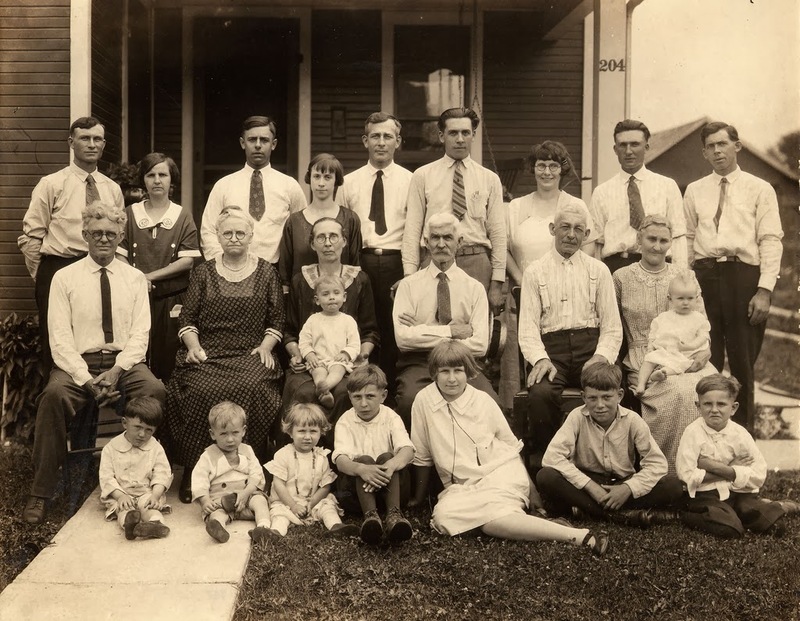 I grew up in a small town and what was unique about my childhood is that the majority of my extended family lived within 20 minutes of one another for these early formative years. We’d gather together regularly for special holidays, feasts and crazy family experiences. At this young age I never really understood the value or privilege it was to share in these experiences. To be honest, there were times I didn’t want to be a part of these experiences. I felt like too many people knew me for who I really was, and I wasn’t sure if that would ever be enough for them. Kind of sounds like what some people have to share about connecting with a community of faith, no? As a father of three young children, I’m being inspired to return to the practice of celebration. There is great value when we support, protect and honour these shared experiences. 1. Support/Love – Families are designed to support and love each other. Both of these habits aren’t always easy to create or achieve. There are internal and external pressures that affect the context families exist in. A family doesn’t always represent a biological connection. Families are clusters of people of different ages who consistently commit to living out life together….families are meant to be people who love one another no matter what. I long for my own children and for teens/leaders/parents under my influence of leadership to know that they matter. Do I shape the elements of my parenting and pastoring around the postures of love and support, or do I allow productivity and measurables dictate rhythm, pace or design? 2. Protect – Families are designed to protect each other. It’s true that those who are closest to you have the most influence to harm or to help you. As an extended family, gathered around a set of values & principles (like a community of faith), do we fight for things that truly matter, or do we reserve our physical efforts to creating chaos within our familial connections? When people connect with your extending family (community of faith and/or ministry) do they understand that they are being welcomed into protection, or do they live in fear of being seen for who they really are? Only one person ever lived a perfect life…Jesus. And we still found a way to make fun of him, hurt him, betray him while ultimately killing him. For the rest of us who are less than perfect, maybe we should invest our energy into developing health and growth in one another instead of always focusing on why we might be sick. Would people flourish if they knew they were worth fighting for? 3. Honour – Families honour each other. In my world, to honour means to celebrate. I honour those who are older than me because their lives have helped to shape the current reality that I benefit from. I celebrate my own kids because we all need people who believe in us and will cheer us on. Honouring doesn’t infer that we completely agree with everything that has transpired over time, but it demonstrates that we are willing to overcome our differences and recognize that diversity isn’t meant to polarize us, it’s meant to inspire us. As leaders, parents and people, is our posture one that speaks to defiance, or one that speaks to celebration? What other roles do you see an expression of the extended family playing in the lives of people? If you’ve been in any sort of leadership role you will know the reality of being evaluated. It’s happening constantly. Parents are looking at you to see if you are trustworthy as a voice of reason in the life of their child. Teens are wondering if they can trust you with who they really are. Volunteer leaders are hoping they can find a faithful cheerleader who supports, encourages and cares for them as they invest their life in the lives of others. And while tests can sometimes help us evaluate the good, the bad & the ugly, at other times I wonder if they simply get in the way of our goal of defining meaning and purpose behind the ministry activity we are seeking to measure. Over the years that I’ve been involved in youth ministry as a student, a volunteer and now a paid youth worker, I’ve discovered that there are 3 predominant themes that permeate the evaluation process from both a programmatic and personnel perspective. Here are some thoughts on how each of these themes burrow their way into the evaluation process. 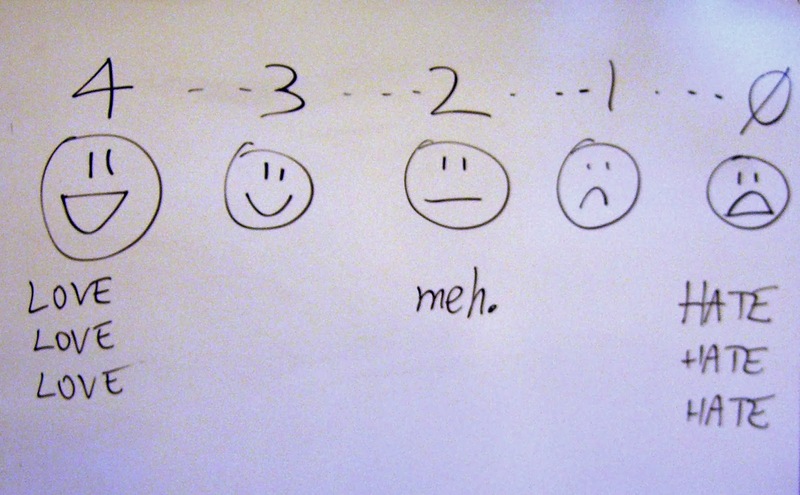 Personality – This is perhaps the most contentious aspect of evaluation. It’s also the most subjective. Every person in the world possesses a unique personality and make up. Some personality traits are more endearing than others. Different environmental factors can enhance or detract from natural personality quirks. But at the end of the day, some people are going to like you as a leader and others aren’t. And they base a lot of their assessment on whether or not they can understand or interact with your personality. It’s important to remember that the way you are wired is the way God intended you to be wired. As Creator, we must trust that God doesn’t make mistakes. We aren’t asked to be perfect like Jesus, we are asked to follow the way of life that He modelled for us. Perfection is unattainable for us as humans, and therefore we should never seek to personify it. Yes, we can grow in our understanding of ourselves and others, and in our ability to love one another, but we must recognize that we are intentionally flawed and yet still worth knowing and being known. As such, we cannot lament about different aspects of our personality that naturally connect us with people while disconnecting us from others. Evaluation that is based solely on personality is always subjective. Sometimes it really is about you, and there is nothing you can do about it. Live into who God has created you to be while asking others to love you in the same way. If you hit an impasse in evaluation, you may have to embrace the reality that some personalities will never get along and it may be wiser to move on than to continue trying to create hope or change. Passion – Passion is most easily defined as burden or hunger…although I do think the word suffering is appropriate to use at times. Passion asks the question: What drives you to move forward? Passion is also contagious. As people interact with you, are they experiencing our passion or are they questioning it? Having passion doesn’t mean doing more or working harder. Sharing your passion means learning to communicate what drives you forward to lead the way you are wired and to do what you do as a leader. If there are questions about your passion, it may be because people don’t understand your personality, or it may be because what you are saying and what you are doing don’t link up. If you have passion, it should be seen through what you do and heard through what you say. Sure, we all have our off-days, but is it our passion that drives us to move forward or something else? Performance – While personality may be the most subjective element of evaluation, performance seems to be the most convoluted. The typical North American church defines success based on the bottom line reality of what is most easily measured (attendance, budget & income vs. expense). We’ve created different metric systems to try and bring clarity to our performance, but in doing so we may have unintentional creating recurring ripples of chaos that detract from the true goal of our leadership efforts. It’s easy to say that performance should be defined by obedience and faithfulness. But how do you measure it? I will say this, if you are performing well according to whatever contextual metric is in place, questions about your personality and passion become less frequent. But if the opposite is true, questions about both become increasingly prevalent. If these three elements are in play throughout the evaluation process, where does that leave us in our quest to evaluate and even define success? What do you think? I remember the first moment when I found out I was going to be a dad. Mixed emotions of excitement, nervousness and joy flooded into my soul. The weight of responsibility of caring for and discipling a young child into adulthood became the focus of my thought power and energy leading up to the moment of birth (and beyond!). Of all the responsibilities associated with being a parent, none seemed as important as providing a great start for this new child by choosing the name they would live into. My wife Bonny and I spent countless hours creating names for our children. We created a spreadsheet listing all the leading name candidates, researching their meaning and dreaming about what we hoped our children would live into in terms of values, character and aspirations for their future. The day came where we met each of our three children and called them by name. In that moment everything seemed settled, new, hope-filled and amazing. Fast forward a couple of years and these young little babies who are now young children are beginning to live into and own the name that they have been given. They respond to it when it’s called (for the most part…), they introduce themselves by it and they know how to write it. My kids are beginning to share who they are with others, starting with their name. I often marvel at the power that names have in each of our lives. Working with teens I’ve seen firsthand the positive and negative effects of names or labels that have been placed on these kids by those who they trusted and cared about. How we speak to each other and what references or names we use matter. The grade 7 boy who is home-schooled is more than just a home-schooler. The grade 10 girl who has dated half the youth group is more than just the floozy. The student that lives in the rough part of town is more than an underprivileged kid. The names we share with one another and we give to others matter. What names are you using to refer to the teens and families under your sphere of influence and care? Are they names that breathe life into their souls, or names that reinforce all the lies they may be tempted to believe about who they are? 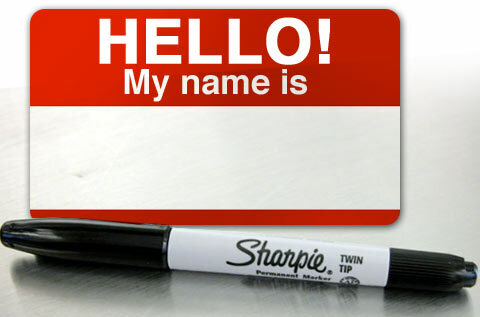 What’s in a name, and does a name really matter? Being a leader isn’t an easy task. The greatest leaders in history are those who have learned to work around, embrace and resolve tension. While many people enjoy the responsibility of making decisions, choosing a direction or having people work for you, there is significant weight associated with being a leader because tension is inevitable. A leader is someone who is open to criticism that is fueled by the mismanagement of the different tensions they endure. There is a natural default human tendency to define our self-worth based on who we are in comparison to others. Leadership is no different. We might look at a leader from another environment and evaluate ourselves to be better than or worse than what we see based on a set of identified or inferred criteria. Every leader will be faced with the tension to consider him or her self to be of better quality than another leader. Learning to value other leaders for who they are, while leaving room to disagree with process, philosophy or methodology will help you to stay focused on developing into the leader God has created you to be. Leaders are often faced with the tension of creating a sense of hope or a sense of impending doom. Facilitating hope creates and sustains vision. Consistent pessimism or cynicism leads only to peril. Leading from a hope-filled perspective doesn’t make a leader naïve, but instead helps the leader to process, refine and redirect vision as necessary. Leaders need to be honest about their current reality, admitting when things are darker than they had hoped, and brighter then they could have imagined. Hope may not disappoint, but pessimism and cynicism always do. There is a fine line between confidence and arrogance. This is often the difference between creating momentum or chaos. Leaders who are willing to learn from everyone and every situation will begin to develop intrinsic momentum within their organizations by valuing creativity and innovation over proper procedure and/or productivity. There is a leadership tension between valuing tradition over outcome. A loving leader celebrates diversity while a legalistic leader demands conformity. The values of an organization are its social conscience. Violation of values leads to a culture that is more cumbersome than hopeful, depleting the leader’s ability to inspire, manage, create or stimulate growth. Leadership is learning to balance the tension between a legalistic carnal response and loving spiritual intuitiveness. Tension is a necessary experience for growth and development as a leader. While this is not an exhaustive list of leadership tensions, it points out the reality that tension exists and it cannot be avoided. What do you agree or disagree with? What other leadership tensions do leaders face? What tension are you facing most prominently right now? The crazy thing about New Year’s Eve parties is that one can tend to spend hours upon hours waiting for the teensy little moment when the clock strikes twelve—with all the wonder, hope, and anticipation that comes with this type of celebration—and yet hours later, when you wake up in the morning, refuse to be changed, refuse to be shaped and poked and prodded by the Spirit of God. This year, I woke up on New Year’s Day with a different kind of attitude than usual. I was inspired towards change. Monday night, as I sat my living room with 15 or so of my closest friends, someone asked a question that sparked a magnificent conversation: “So what did everyone learn over this past year?” What did we learn? Dude! Come on! It’s a party! Not some retreat in the wilderness! And yet… that conversation led me to some new challenges and goals for 2013—things that I wouldn’t have thought twice about had I not had the opportunity to discern in community what I’d learned over the previous year. Among them, ironically, is a deeper commitment to listening to and learning from other people. How often do we take the time to ask our communities of students, parents, siblings, and families… “what are you learning?” What do you know today about your life, faith, dreams, hopes, fears, and story that you didn’t know yesterday? Teenagers, as we all know, are sometimes not the most contemplative types. But they have deep, profound, inspiring burdens on their hearts and God is constantly teaching them new and wonderful things about their futures. Maybe we need to spend less time shoving “truth” down their throats and more time hearing what truths God is planting in their hearts and minds. I asked a 16-year-old recently what he wanted to do after high school. A simple, out of the blue question that elicited a novel of a response. He started to share with me about his desire to study psychology, and to really get into the stuff of life with people, so that he can help them deal with their pain, move forward, and grow through the experience. Wow! A God-given vision for the future. This allowed me to celebrate with him, encourage him in that dream, and know how to pray for him moving forward over the next couple of years. Sure, his dream could change, but that five minutes of bright authenticity were an amazing time of exploring the story that God is writing in and through him. Simple questions often have a way of inspiring great conversation. If we take the time to consistently ask the families we walk with in youth ministry what they’re learning, it is a catalyst for helping to shape their faith and lead them closer to Jesus. I see myself not primarily as a dispenser of great wisdom (heck no!) but as a coach, guide, inspirer and facilitator. Teens, parents…they’re smarter than we give them credit for sometimes. We can help them to vocalize what they’re learning, what God’s teaching them, and then come up with strategies and goals to pursue the things He’s placed on their hearts. What an exciting journey that is rooted simply in being in relationship with others. How do you help students, families, and other to vocalize what they’re learning, and to press into what God has for them?